Grow Wellington may have failed to trumpet its successes loudly enough, but it doesn’t deserve the criticism that is currently being heaped upon it as the seriously flawed Wellington regional economic strategy (WRS) has undergone review. The economic development agency has done a relatively good job of making a silk purse out of a sow’s ear within a recessionary environment in which the central government focus has been on other parts of the country. It beggars belief that plans are afoot to abscond with $600K of the agency’s annual budget to fund the WRS office to “administer” the strategy. It’s not clear how creating another layer of bureaucracy will enhance the region’s economic performance however. Past complaints by the Wellington Chamber of Commerce demonstrate a deep ignorance of the outstanding network building and facilitation work that Grow Wellington has undertaken and the cheap attacks look like nothing more than a desperate attempt by the Chamber to remain relevant. Last year’s Rugby World Cup was a pleasant distraction for some, but an economic fizzer for the region overall, as predicted by every study looking at the long term value of such large scale events. But sound academic research and global best practice has never been the basis for the regional economic strategy, a document that was prepared by local management consultants. At no time did the strategy charge Grow Wellington with researching and advocating on regional infrastructure and accordingly the organisation does not employ researchers or economists. One would have thought this was in fact the Chamber’s role, hence their criticism should be directed inwards. Wellington needs better public transport, an infusion of entrepreneurial culture plus more and ongoing investment into productive and high value parts of the economy, including facilitating foreign capital. On the other side of the ledger, we also need to preserve the quality of life that we currently enjoy because this is the basis for skilled migrant attraction. Look around – at least half of the technology start-ups in the region have been created by recent arrivals. That is an economic success story that should be told far more often. We live in interesting times. Last month I attended a seminar looking at productivity in the New Zealand economy and how we can improve. The most overwhelming aspect of the event however was that most of the attendees were white, male and aged 50 or older. Furthermore, much of the focus was on making changes to macroeconomic settings, rather than making an attitudinal shift. If we are to address this issue in a meaningful way we need to engage with a far broader church, including politicians, scientists, entrepreneurs and investors from across the spectrum who are committed to change – not just economists. With our over-dependence on high volume, low value food commodities to generate income and an over-investment in non productive assets such as property, we have seen per capita income dropping rapidly over the last decade. The flow-on effect has been a return to net outwards migration at levels unseen in the last thirty years. New Zealand is close to entering a death spiral, in terms of an inability to pay for social services in the future, if we don’t fix this right now! Within the next thirty years we will reach a tipping point at which a minority of the population is working to support the dependent majority. Each speaker at the seminar was tasked with presenting a simple, yet radical idea that could move the goalposts on productivity, in an effort to stem the flow of emigrants and ensure we can fund our future. Some of the ideas were downright batty, but at least people were thinking and talking – which is more than successive governments have achieved so far. In fact, perhaps the single biggest issue is leadership inaction in the face of political expediency. It will take more than speeches and a cup of tea to solve these problems. So here’s my ten cents worth. It seems we can easily find $10 million to build a temporary booze hall for rugby patrons on Auckland’s waterfront, yet we continue to struggle to provide a coordinated approach to identifying and commercialising world class science in New Zealand. If the government lacks the gumption to look beyond a three year electoral cycle, then the private sector must take a stronger leadership position on the matter. There’s plenty of cash sloshing around in superannuation funds, but if it means accessing foreign capital and connections to get on with the job, so be it. Endeavour capital see the opportunity, why not others? We should aim for 100+ Lanzatech or Endace type companies. That requires making project opportunities transparent and going big, whilst retaining a NZ Inc. stake in the intellectual property. It means identifying top talent to lead commercialisation. It will also require a complete change of mindset in some of the more conservative knowledge silos around the country. The Global Innovation Index judges nations’ progress against a basket of parameters including infrastructure, research output plus market stability and institutional strength. 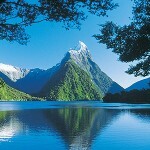 In 2010 New Zealand surged ahead to 9th place out of 125 countries after languishing at 27 the previous year. But in 2011 we dropped back a little to 15th place, or more correctly, we were slightly overtaken by our close competitors U.S., U.K., Ireland and Canada. Whilst there’s no need for alarm, we must remain vigilant that government keeps the right settings in place and that businesses continue to take advantage of global opportunities by leveraging our creativity and growing new knowledge. I remain optimistic. Last week I attended the outstanding Ice Ideas conference presented by the much lauded Icehouse business incubator which has a close relationship with the University of Auckland and has been involved in raising $50 million in funding for high-tech companies in the ten years since its inception. The incubator has now set itself the goal of achieving 3000 new business launches over the next decade. It’s an unashamed grab for more deal flow and a call to action for the community to support the initiative financially, for the betterment of NZ Inc.
Incubation is certainly a valuable aspect of the overall innovation ecosystem and I applaud these efforts. But we must also ensure that other structural features are strengthened, not undermined. Not the least of these is ensuring that the spectre of a capital gains tax (CGT) on business asset sales never sees the light of day. On the other hand, some kind of modest taxation of gains on speculative property transactions certainly has merit, in order to encourage more productive forms of investment. Unfortunately the two issues, although related, tend to become intertwined in the minds of the public as politicians desperately seek to gain a foothold. A capital gains tax on business sales would discourage investment and accelerate the loss of talent offshore by taking away one of the key competitive advantages that we have over other developed economies. It may also have a negative impact on New Zealand’s standing as an innovative and business investment friendly destination. Speaker presentations from the Ice Ideas conference are available here. Despite some over cooked fund raisings causing a few ripples recently . A couple of high profile trade sales underline the value that a great brand brings to a business. There’s been a lot of talk recently about whether there’s another tech bubble forming, but I see two separate themes emerging. On the one hand there’s companies like Color and Pandora that raised funding purely on the strength of an idea and a solid team. Neither company has revealed how or when they will generate revenue. There was much hand wringing after Color’s VC round and Pandora’s share price crashed almost immediately post IPO. These are worrying signals in a market where entrepreneurs are being told to go out and raise as much cash as possible, whilst times are still good. On the other hand, there are solid companies with good revenues and little debt that are cashing up through trade sale opportunities. The Go Daddy transaction was a case in point. This deal had been in the making for some time and looks like a win-win for both the founders and the institutional investors in terms of timing. Obviously it was of great interest to us at iWantMyName because GD are the largest domain registrar on the planet, with around a quarter of the entire global market. Closer to home, the $139M buyout of listed drinks maker Charlies by Japan’s largest brewer Asahi also looks like a big win. What all of these companies have in common are great brand assets. Where they differ is that some of them not only do not generate profits, but in some cases the value proposition is less than clear. Even a great brand cannot compensate for these failings. Winning companies have recognisable brands, high performing systems or technologies and a means of generating repeating revenues. You’d have to be a right Charlie to invest in a company that didn’t have these attributes. Almost everyone agrees that New Zealand needs to produce more high value, knowledge based goods and services to pay its way in the world. But the gestation period from good idea to global superstar can be in the order of five to seven years – and that’s just the ones that survive. Changing the policy settings for research, development and business growth to accommodate political cycles creates uncertainty for long play economic development projects. In 2004 I made some introductions for a little known Wellington company called Open Cloud. They had a Java based middleware product for telcos that had the potential to go ballistic, given the exploding mobile market. Seven years on the company has a UK office, solid investor backing and mobile telecommunications companies beating its door down. Research and development remains based in New Zealand, a commitment the company made very early on in its evolution. Some forward thinking individuals at New Zealand Trade & Enterprise made sure that doors were opened, even though the company had only a handful of staff at the time. Waikato company BioVittoria developed a plant based food sweetener that has caught the attention of global markets. Again, this company is a prime example of the kind of enterprises we need to be cultivating in New Zealand. But it too started out small with just its founders and a small number of contractors. The company leveraged research done in New Zealand and diligently built up a supply chain and manufacturing plant in China to process locally grown fruit and distribute the product globally. Even though BioVittoria suspended plans for a share float in 2009, the company instead secured an influential equity partner that will help with growth. In the face of government funding constraints NZTE recently announced yet another senior management reshuffle and cut the number of direct client-facing roles. They also dumped the Escalator programme, which has been educating small business owners for many years in the art of capital raising. So now that New Zealand Trade & Enterprise has eased itself out of minding small businesses, will there be any support for the next generation of technology and science based ventures that are stepping forward? Intermediaries such as government agencies and consultants do have a role to play in building the networks that small ventures need to scale upwards. We should not rely on economic Darwinism alone to identify winners and losers. Amidst the hand-wringing over Christchurch’s loss of Rugby World Cup games I was once again left wondering why we struggle as a nation to focus on the really important issues that underly our efforts to rekindle economic growth. In the global scheme of things the fact that a handful of rugby games won’t be played somewhere is hardly world breaking news, especially in comparison to the extraordinary drama unfolding on the other side of the Pacific Ocean. Yet the media spent a good portion of last week hounding politicians on the topic of World Cup venues. It was obvious that McCully and others were stonewalling and already knew the outcome, but there were much meatier issues left untouched. For example, where was the government going to find the $10 billion or more needed for the reconstruction of Christchurch and how will we round up sufficient numbers of skilled trades people to do the work? Later in the week I attended a closed forum for leaders in the ICT community discussing how we could boost the economic return to the capital city from our industry. It was notable that at least half of the attendees were skilled migrants who, at some time or other, had deliberately chosen Wellington. It really brought home the significance of the contribution made by migrants to our creative industries. Naturally much of the forum conversation was taken up with suggestions around making our city a more engaging place for creative types and telling our story widely and more often. Disconcertingly however, the topics of identifying external sources of capital and strengthening our entrepreneurial ecosystem were treated superficially. Recently I was reading an article by YCombinator’s Paul Graham talking about what start-ups need to help them stay in a given location. Provide them with financial capital, he says. Accessing creative talent and facilitating cross-pollination of ideas are really important too, but ex-pats don’t have a franchise on these things. Access to smart capital and developing a vibrant entrepreneurial community culture are major growth drivers. These are themes I will continue to be advocating for strongly. Does Shakedown Have Silver Lining? Christchurch based politician Jim Anderton will no doubt be regretting his comment last week that it would take a “seismic shift” for incumbent Christchurch mayor Bob Parker not to lose the local body election fight that they are both engaged in. At 4.35am last Saturday morning, New Zealand’s second largest city was struck by an earthquake of similar strength to that which destroyed Haiti. In fact Parker, ever the gentleman showman, has risen to the occasion and must be privately elated that he has a new public platform on which to perform. The timing is also perfect for other politicians who are ever mindful of the lessons from 9/11 and New Orleans. When old Mr Hubbard went to the cupboard and found it bare recently, the subsequent receivership of poorly managed South Canterbury Finance (SCF) and its labyrinthine and multitudinous related entities also hit the Canterbury region like a shock wave. It was a painful reminder of why we cannot continue to prime our economic machine purely on the basis of milk exports and highly leveraged property assets. Investors in the failed firm received an immediate payment under a government guarantee scheme totalling $1.7 billion. Whilst some of this cash will no doubt be recovered, it’s appalling that SCF went unchecked for so long. Ordinary taxpayers and legitimate businesses have had to shoulder this burden. Most of the SCF payout will likely disappear into holiday trips to Surfer’s Paradise and safe but low interest earning bank accounts of the grey brigade.Very little will actually be reinvested into the productive part of the New Zealand economy. Consequently, the earthquake is a “god-send” for central government too. Apart from the immediate distraction from existing economic problems, it will validate investing hundreds of millions of dollars on infrastructure repairs. Road builders, plasterers and brick layers from all over the country will be fully engaged for months, possibly years. That may be quite a good thing. I don’t wish to minimise the effects on Christchurch residents as they were thrown from their beds on Saturday morning. It must have been a terrifying ordeal and the ongoing psychological trauma of aftershocks will continue to play on minds. But I partially agree with some commentators who suggest that New Zealand has a high level of preparedness and that we will come through this. Now that the dust has settled, we might even see some benefits arise from this event. If nothing else, there will be a lot of learnings that can be passed on to those of us that live in other parts of the country with a history of high seismicity.